In the previous two rounds, the Pitmen beat Olimpik (3-2) and Stal (2-0), which allowed them to rejoin the competition for top spots. Currently, Serhii Popov's team have the fifth position in the league, having another game up their sleeve to differ from their competitors (13 games, 23 points). Shakhtar’s top scorers this season are Dmytro Topalov and Andrii Kulakov, netting 5 goals each. Both of them took part in the victory over the Steelmakers: Valerii Bondar opened the scoring owing to Topalov’s assist, with Kulakov sealing the win for the Pitmen. It is worth noting that both teams have no suspended players, with the meeting to be held on a synthetic pitch. Dynamo are leading in the U19 championship after claiming 31 points in twelve games. This season, Kyiv stumbled only twice, after being tied with Chornomorets (2-2) and suffering an away defeat vs Volyn (3-4). The charges of Yuriy Moroz had their recent two meetings at home, claiming the wins over Zirka (1-0) and Vorskla (3-0). The most prolific player of the team is Bohdan Lednev (8 goals). Besides, Dynamo have enjoyed a successful UEFA Youth League run. In their group, they scored 10 points after four games, securing their early advancement to the knockout stages. As part of the Ukrainian Youth League, the opponents had 9 meetings: Kyiv won on four occasions, with the same number of draws and one win by the Pitmen. The goal difference is 16-9 in favour of Dynamo. The sides’ previous meeting was held in the second round of the current league season and ended in a 3-1 win for Kyiv. 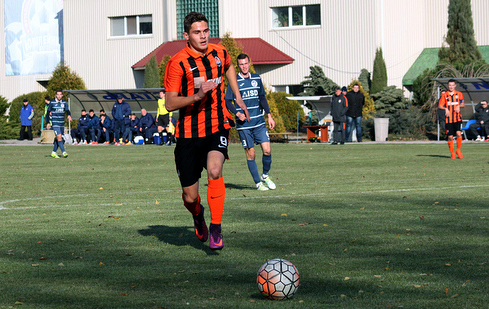 Shakhtar have scored in every home game of the U19 league starting from April 23, 2014. The Pitmen’s unique goal-scoring streak includes 36 games. In six home games this season, the Orange-and-Blacks claimed four wins and netted 13 goals.